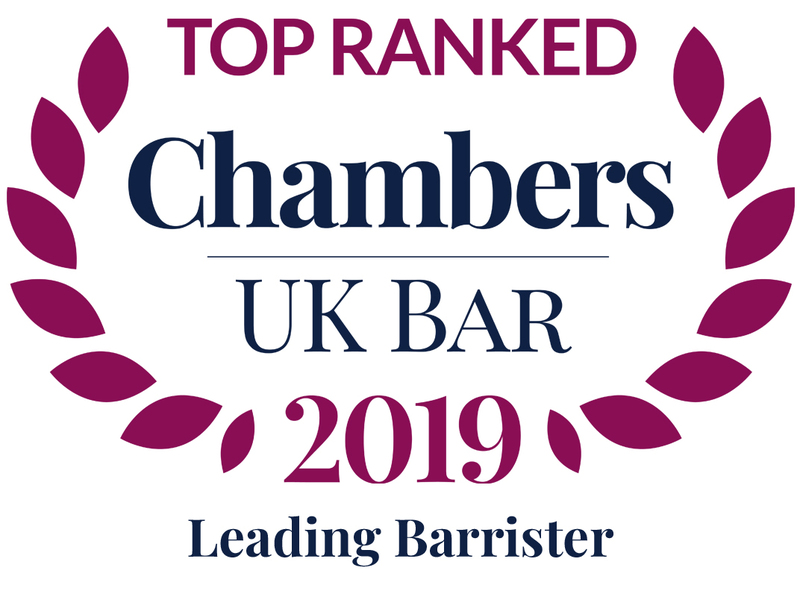 Myles specialises in public law with a particular focus on extradition; representing Requested Persons, Judicial Authorities and the National Crime Agency. Myles also advises clients on issues such as prisoner transfer, freezing of assets across jurisdictions and mutual legal assistance. Myles was appointed to the Attorney General’s Civil Panel of Counsel, C Panel (London) in March 2016. Myles has appeared in a number of key cases in the High Court under the Extradition Act 2003, dealing with issues such as convictions for contumacy; disproportionate sentences; the applicability of the “slip rule”; and the demarcation between warrants issued where the Requested Person is accused and those where they are merely wanted for investigation. In addition to statutory appeals, Myles has appeared in applications for judicial review and habeas corpus. Myles has written numerous articles on the subject of extradition and was consultant to the authors of “Extradition law: a practitioner’s guide”. Since being appointed to the Attorney General’s Panel, Myles has devoted a great deal of his practice to immigration law and prison law. In relation to the former, he has appeared in a variety of cases covering a range of issues before both the High Court and the Upper Tribunal. Furthermore, he has accrued particular expertise in relation to civil penalties imposed on employers and haulage companies under the Immigration, Asylum and Nationality Act 2006 and the Immigration and Asylum Act 1999. In relation to prison law, Myles has represented the Government, both in the High Court and the County Court. Myles has been seconded to various government departments and prosecuting authorities including the Ministry of Defence, the UK Border Agency and the Serious Fraud Office. He has assisted with large scale disclosure exercises in criminal prosecutions and claims for damages. Recently he was seconded, on a part time basis to HSBC, where he reviewed claims for consequential loss following the mis-selling of interest rate hedging products. Led by Julie Anderson. The case dealt with whether the Applicant, whose extradition had been ordered to Spain, had made a valid asylum claim. The Court held that no asylum claim had been made. Accordingly, extradition could take place. The case dealt with section 243 of the Criminal Justice Act 2003 (“CJA 2003”) and the requirement for a sentencing Judge to state, in open court, the number of days taken into account whilst a prisoner was awaiting extradition. The High Court held that section 243 was compliant with Article 26 of the European Arrest Warrant Framework Decision (2002/584/JHA). Led by Cathryn McGahey QC. The case dealt with whether a Requesting State had an ongoing duty to consider proportionality throughout the extradition process. After the handing down of judgment, the Judicial Authority withdrew the EAW. Led by John Jones QC. The case dealt with the status of the Council Framework Decision 2009/299/JHA in domestic law following the United Kingdom’s decision to opt into a number of measures on 1st December 2014 within the field of Police and Judicial Co-operation in Criminal Matters. Led by Mark Summers QC on behalf of Mr Ijaz who successfully challenged the order for extradition, as neither a decision to charge nor a decision to try had been taken in Italy. Led by Mark Summers QC in successfully obtaining a writ of habeas corpus, thereby nullifying a decision by a Master to retrospectively extend the required period for her removal. Following this decision, Ms Netecza was discharged by Westminster Magistrates’ Court on the basis that “reasonable cause” had not been shown for the delay in her removal. Led by Helen Malcolm QC in this successful challenge to a District Judge’s decision to re-open extradition proceedings by relying on section 142 of the Magistrates’ Courts Act 1980. Myles Grandison (Appellant) and Benjamin Seifert (Respondent) were led juniors in the lead case before a Divisional Court consisting of Lord Burnett LCJ, Irwin LJ and Ouseley J.
Myles Grandison collects, uses and is responsible for personal information about you. When I do this I am the ‘controller’ of this information for the purposes of the GDPR and the Data Protection Act 2018. In relation to information which is in categories (g) to (p) above (these being categories which are considered to include particularly sensitive information and which include information about criminal convictions or proceedings) I rely on your consent for any processing for the purposes set out in purposes (ii), (iv), (vi), (viii) and (ix) above. I need your consent to carry out processing of this data for these purposes. However, if you do not consent to processing for purposes (iv) and (ix) (responding to potential complaints and providing a reference) I will be unable to take your case or to provide a reference. This is because I need to be able to retain all the material about your case until there is no prospect of a complaint and to provide an informed and complete reference. In relation to information in categories (g) to (p) above (these being categories which are considered to be particularly sensitive information and include information about criminal convictions or proceedings), I am entitled by law to process the information where the processing is necessary for legal proceedings, legal advice, or otherwise for establishing, exercising or defending legal rights. In relation to information which is not in categories (g) to (p) above, I rely on my legitimate interest and/or the legitimate interests of a third party in carrying out the processing for the Purposes set out above. cloud data storage services based in the USA who have agreed to comply with the EU-U.S. Privacy Shield, in order to enable me to store your data and/or backup copies of your data so that I may access your data when they need to. The USA does not have the same data protection laws as the EU but the EU-U.S. Privacy Shield has been recognised by the European Commission as providing adequate protection. To obtain further details of that protection see https://ec.europa.eu/info/law/law-topic/data-protection/data-transfers-outside-eu/eu-us-privacy-shield_en. cloud data storage services based in Switzerland, in order to enable me to store your data and/or backup copies of your data so that I may access your data when I need to. Switzerland does not have the same data protection laws as the EU but has been recognised by the European Commission as providing adequate protection; see https://ec.europa.eu/info/law/law-topic/data-protection/data-transfers-outside-eu/adequacy-protection-personal-data-non-eu-countries_en. I will not otherwise transfer personal information outside the EEA, except as necessary for providing legal services or for any legal proceedings. until at least 1 year after the expiry of any relevant limitation period (which will usually be 6 years, but may be 12 years, or longer where the case includes information relating to a minor), from the date of the last item of work carried out. This is because it may be needed for potential legal proceedings. At this point any further retention will be reviewed and the data will be marked for deletion or marked for retention for a further period. The latter retention period is likely to occur only where the information is needed for legal proceedings, regulatory matters or active complaints. Deletion will be carried out (without further notice to you) as soon as reasonably practicable after the data is marked for deletion. I will store some of your information which I need to carry out conflict checks for the rest of my career. However, this is likely to be limited to your name and contact details/ the name of the case. This will not include any information within categories (g) to (p) above. Names and contact details held for marketing purposes will be stored indefinitely or until I [or my clerks] become aware or are informed that the individual has ceased to be a potential client. As explained above, I am relying on your explicit consent to process your information in categories (g) to (p) above. You provided this consent when you agreed that I would provide legal services/asked me to provide a reference. Please note if you wish to unsubscribe from any marketing emails that you have signed up for, you can do so by contacting me at the e-mail address below. This privacy notice was published on 17th May 2018 and last updated on that date.